The Peugeot Bipper is a compact van that makes a big impression. 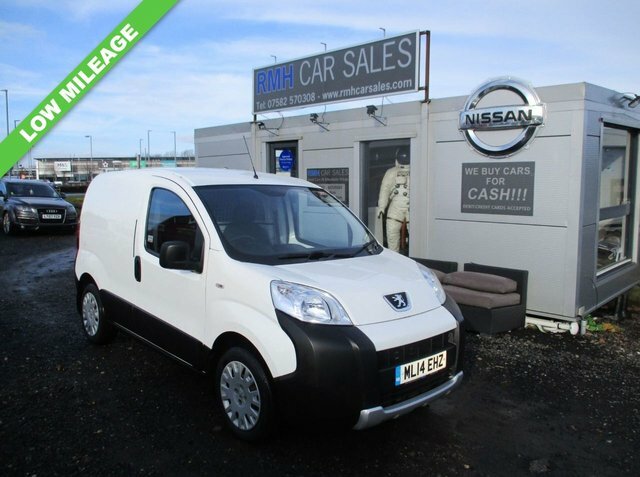 A flexible and handy loadspace combines with low running costs and agile handling to ensure this commercial vehicle demands closer inspection. For the best deal on a used Peugeot Bipper for sale in St Helen Auckland make sure you come to RMH Car Sales Ltd. At our showroom you'll able able to choose from a wide selection of quality vehicles, all of which have been rigorously tested by a trained technician before going on sale. As a leading supplier of quality and affordable second-hand vehicles, you can trust our team to ensure you find the right van for your business' needs. Contact us today to discuss your individual requirements in more detail.